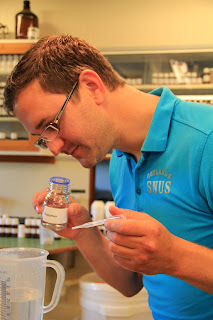 This summer I was invited to visit the Gotlandssnus factory located on Gotland Island in Sweden. I got an exclusive interview with Jimmy Karlsson. 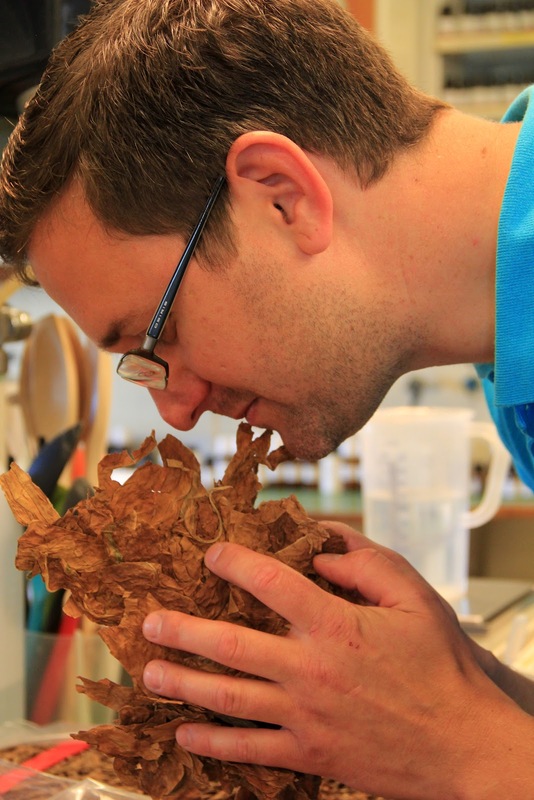 This is truly one of the most fascinating people I’ve met in the snus industry so far, a man with an incredible sense for flavor and quality. I realized early on that his sense of smell and taste is something extraordinary that has taken many years of work and study to develop. 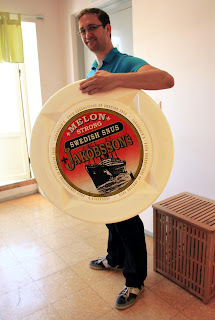 Jimmy Karlsson is truly a connoisseur and it is thanks to his good sense of flavors and Gotlandssnus responsiveness to customer needs that the fantastic Jakobsson's series was introduced to the market. Jimmy has worked as a chef for twelve years. He worked in nice restaurants worldwide and had a dream of one day opening his own restaurant. Jimmy later slipped in on a new path, and joined a sales program. That’s where he met Henrik, owner of Gotlandssnus. 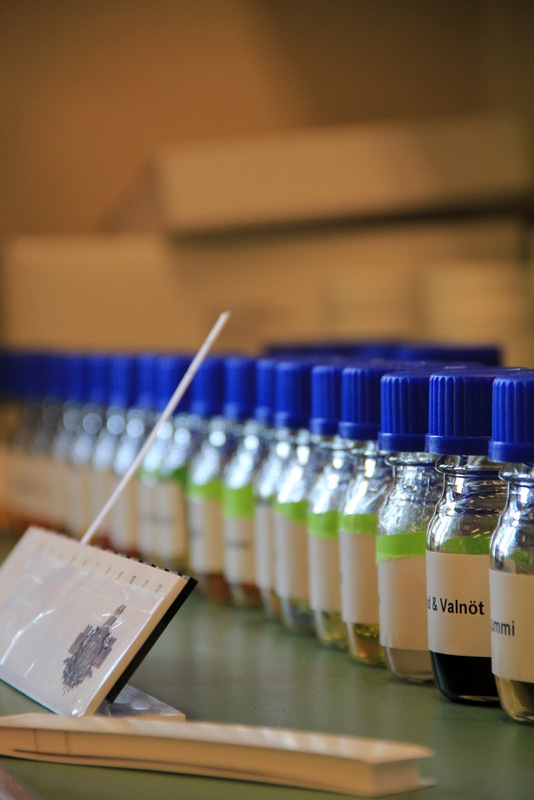 Henrik hired Jimmy as a salesperson and later on it was natural for Jimmy to start working with product development and to develop new flavors. 5 years ago Gotlandssnus had only 2 employees, today they are 20 and as the demand for their products increases, it will require a new factory and several employees. The last 5 years Gotlandssnus has grown by 100% a year and is probably one of Sweden's fastest growing companies. Pocket size snuscan? Forget it! Gotlandssnus has a strong wish to be different from other companies and want their products to stand out in the market. Therefore, they have trouble finding a specific audience, but say that their products are intended for all users of snus. Some people like it and some don’t. I most certainly think the majority of people who try the Jakobsson’s snus falls in love with it though. When Jakobsson’s Melon was introduced on the market many people thought it would be a typical “girlsnus” due to its fruity aroma, but it turned out to also be very popular among middle-aged men and tough construction workers. That said, Jakobsson’s is really a snus for all snusers. I asked Jimmy how he comes up with new flavors. 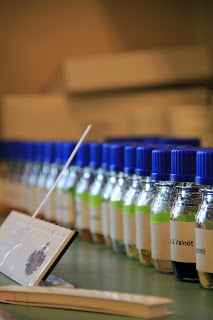 I had painted a picture in my mind of him standing in the lab all day experimenting to come up with the perfect flavor. Jimmy shattered that picture and it turns out they first come up with an idea for a product , address the customer needs and when they have a prototype they ask the customers what they think, what they can improve and so on. It was through a major customer survey that the Melon snus was produced. Jakobsson’s is truly our, the consumer’s snus. I've always been fascinated by the quality of Jakobsson's snus. The flavors are outstanding and the snus do not have this bitter aftertaste that can be found in many other snus brands. 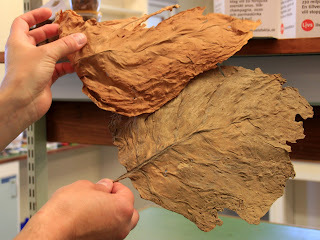 I myself got to smell some tobacco samples, and OMG what a difference there was between the different price classes. The expensive fine tobacco used in Jakobsson's snus smelled absolutely lovely while the cheap tobacco smelled terrible, an odor that reminded me of cat pee. It was the exact same thing with the aromas. It’s fascinating how big the difference can be between quality and the cheapest alternative. Gotlandssnus are always looking for the best aromas at whatever cost. It may sound like a cliché but in this case it is certainly true. Gotlandssnus never sacrifice the quality to keep down the costs. Jimmy is teaching me to tell the difference between high quality and cheap tobacco, can you tell? Jimmy himself tells me how he quit smoking by using snus. He has now been smoke free for 10 years. His favorite snus is Jakobsson's Fläder (elderflower). You can read Anna Manley’s review of that snus here. Jimmy says it's important to think Quality at all levels and to always have innovation thinking and to want to do better. If they are not 100% satisfied with a product then the product will simply not reach the market. When I ask Jimmy about the future of Gotlandssnus he says that they want to continue to grow and also in markets outside Sweden. They have a lot of exciting things going on and I don’t think this will be a problem for them at all. I’ve been nagging Henrik forever about a white portion and mini portion snus and of course asked Jimmy about that as soon as I got a chance. He made me jump up and down of joy when he said they are looking for solutions to manufacture both white and mini portions. So girl´s, let’s hope we can see those products in a near future. I truly believe that Gotlandssnus is a company to count on in the future. They have the right innovation thinking and the quality of their products is something that will never leave you disappointed. After all nothing can compare to the feeling of having a good portion snus under your lip. And I can assure you, there’s a lot of love, passion and thought put behind every portion of Jakobsson’s. So Enjoy! Read our reviews for Gotlandssnus products here, more coming up soon. 3 comments on "My visit at Gotlandssnus"
To bad they have dropped all of there lose. I have since given up on Gotlands as all they appear to be interested in is candy and sterks, and I don't do either. Bring back the gul los as it was among the best snus on the market. Nothing they have done as of recent can compare. The Flader los was ABSOLUTELY AMAZING!!!!!!! FOR SOME INSANE REASON IT WAS ONLY RELEASED AS A TEST SERIES!!! WTF???? -Gotlands has lost all the great unique 1 of a kind flavors & replaced their lineup with JUNK!!! UGGH!!! WHY?? ?